Much of technological breakthroughs on appliances followed after the invention of the light bulb by Thomas Edison in 1879. A couple of years later, the brand Singer introduced the home electric sewing machine. This was followed by the lightweight electric iron as well as the “Thor,” the first electric-powered washing machine in 1901. The first moveable vacuum cleaner was invented in 1905 but it didn’t perform well because it weighed 45 kilos. Three years later, the first electric coffee percolators appeared. In 1910, the electric stove, in-home electric refrigerator, and radios with tuners entered the market. The residential refrigerator and dishwasher next appeared in 1913, followed by the automatic pop-up toaster in 1919 and the residential air conditioner in 1928. Without the invention of this air cooling system, many of today’s medications may not have existed since they require a cool environment for storage. A dishwasher is an appliance that has truly made things more convenient for society. In the past, people had to wash every single dish by hand. This can be quite time-consuming and is really inconvenient for people who lead busy lifestyles. Owning a dishwasher can allow you to easily clean your dishes with the push of a few buttons. There are many different types of dishwashers on the market for you to consider. If you want to get the best dishwasher for your particular situation, then you should look into things further to see what is available. You can find dishwashers that are capable of handling a heavy workload as well as units that are quite compact. It shouldn’t be too difficult to find a unit that will work perfectly in your living space. This dishwasher here is a very good model for anyone who is looking for a general purpose unit. It is going to be capable of accommodating up to eight place settings in one load. You will also be able to use the dishwasher without having to worry about it using up too much energy. It has a good energy star rating, making it a very practical purchasing decision to make. Washing machines have become very prevalent in people’s homes, as well. These may have been considered a luxury many decades ago, but now owning a washing machine is pretty much a necessity. People who live in houses will generally want to own a nice washing machine that can handle a heavy workload. You will find that there are many styles and types of washing machines on the market to pick from, so you’ll be able to find a good option to fit your living space. People who are seeking out a new washing machine will want to purchase a model that is durable and capable of washing clothes really well. It is also important to buy a unit that uses water efficiently. Environmental concerns have caused people to start thinking about the impact that appliances have on the environment. Modern washing machines are being made to be more energy-efficient than ever, so upgrading from your older machine may be worthwhile. The washing machine that is being shown off as an example here is very nice. It is a front-loading model that will be easy for anyone to load. It also meets all of the stringent energy star standards, so you can feel confident that it is going to be as efficient as possible. If you are in need of a new washing machine or are looking to make an upgrade, this will be a good product to buy. Much like the washing machines mentioned above, dryers are seen as incredibly important home appliances. If you want to be able to dry your clothes in a timely fashion, then you are going to need a clothes dryer that you can rely on. There are people who choose to dry their clothes manually on a clothesline. This can be a nice way to go about things, but it isn’t always going to be practical when you need to get your clothes ready for work. A good dryer shouldn’t cost you too much money overall. You will find that there are many affordable and effective dryer options on the market. Sometimes there are even dryer units that are made to match up with specific washing machines. If you want to make things simple, then you could buy the mate to your washing machine so that everything matches up from an aesthetic perspective. This dryer is going to work nicely for anyone who needs a fairly priced unit that can perform admirably. This is an electric model that comes with many different features. It can dry your clothes fast and are very safe to use. The low price point makes it easy to fit into most budgets as well, so it is certainly a well-regarded dryer option that should be on your radar. Microwaves have been a staple of people’s kitchens for many decades. Many people would not be able to function normally without a microwave. It has become a part of many daily routines and makes things such as warming up food a lot simpler than it would otherwise be. A microwave is a multi-faceted appliance that is going to be useful in several ways. You will be able to find many types of microwaves on the market that are worth your consideration. There are actually more variations among microwaves than you may realize. If you are looking for a large microwave unit that will help you to heat up large amounts of food at once, then you will be able to find it. There are also very compact microwaves that are perfect for those who are living in smaller environments such as apartments. A good microwave will be able to make your life a little bit easier. You can actually cook many things with a microwave, and it will come in handy when you’re trying to prepare a large meal. Whether you are trying to heat something up or if you need to cook some appetizer, you’ll be happy to have a quality microwave around. They are very affordable appliances to own too, so there really isn’t a good reason not to have a microwave in your home. An oven is definitely a home appliance that you won’t want to be without. It is possible to get by without an oven, but it isn’t going to be very convenient. You need an oven to be able to bake most of your favorite foods. A high-quality oven can really help to make your overall home life that much better. If you are the type of person who enjoys cooking, then you will definitely want to purchase an oven that will meet your standards. Sometimes people who are really into the culinary arts will want a large oven that will help them to cook multiple things. There are plenty of amazing ovens out there for you to consider, so you will be able to purchase one that will be great for cooking large meals. Finding an oven that works well in a smaller kitchen shouldn’t be too tough, either. This example oven is one that will work nicely for just about any budget. It is an affordable oven that still manages to provide you with many convenient features. It is a self-cleaning electric model that is capable of staying pretty tidy. It also comes with a convenient storage drawer at the bottom that you can use to store various pots and pans should you be so inclined. The toaster isn’t necessarily an essential home appliance to own, but it can be really convenient. If you are the type of person who loves to have breakfast in the morning, then you will certainly want to own a toaster. This is going to allow you to toast your bread quickly and you can truly complete your breakfast. Some people also like to make foods such as English muffins or certain toaster pastries in the morning. You will be happy to know that toasters are actually very affordable too. You won’t have to pay too much money at all to get a really nice toaster. If you are low on counter space, then you can decide to purchase a smaller toaster. A two-slice toaster will work fine for many people but there are larger toasters on the market that can make things even more convenient. This toaster is a fairly standard four-slice model. It will allow you to toast four slices of bread at once, and it does a great job. The look of the toaster is also very sleek. It will fit in very nicely in any modern kitchen setting. Another tasty treat that people like to have in the morning is a waffle. Even if waffles are not necessarily something that you will eat every single morning, they are still something that many people look forward to having on certain occasions. If you want to be able to make delicious waffles, then you will need to own a good waffle iron. Sometimes this home appliance is referred to as a waffle maker, as well. No matter what name you choose to call it, a waffle iron is going to be excellent for making tasty waffles. You simply pour your batter into the waffle iron and then press it down to cook your treat. This is a simple process that makes cooking a special breakfast quite simple. You don’t even have to pay much money for a good waffle iron, so it’s a convenient purchase for those who love waffles. This waffle iron is perfect for creating Belgian waffles with deep pockets. You’ll be able to enjoy the taste of fine Belgian waffles in the morning if you decide to purchase this. It isn’t too costly, and it is very easy to use overall. If you want a waffle iron that is going to be cost-effective and simple, then this is a safe bet. Discover all the different types of waffle irons here. Another essential appliance to have in your kitchen is the refrigerator. If you don’t own a refrigerator, then it is going to be quite difficult to keep food in your house without it spoiling. The invention of the refrigerator completely changed how people live in many ways. It allows people to store food for longer periods of time, and this opens up more culinary possibilities. Having a good refrigerator will make your home that much nicer. You want to be able to have enough space to store a decent amount of food. Depending on how many people live in your home, you may be able to get by with a small refrigerator. There are large models available that will be perfect for larger families, although they will be a bit more costly on average. If you want a good refrigerator that is energy-efficient and fairly spacious, then this one here will fit the bill nicely. You’ll be able to store plenty of food in this refrigerator, and it runs very smoothly. It has French doors that look really nice, so it will definitely add to the aesthetic appeal of your kitchen. If this model doesn’t appeal to you, then there are certainly many other refrigerator options on the market for you to peruse. See all types of freezers here. Freezers typically go hand-in-hand with refrigerators. A lot of refrigerators will come with a freezer included as part of the unit. Not all refrigerators will have a freezer attached to them, though. Sometimes, people will need to go out and buy a standalone freezer that they can make use of in their home. Even if you do have a small freezer that is part of your refrigerator, it may be beneficial to consider buying a standalone freezer. Having a large chest-style freezer can actually be very convenient. It will allow you to store larger amounts of food at once. This can help you to take fewer trips to the grocery store, and you will be able to keep more food in stock. Large families will be especially keen on owning one of these freezers. It is going to make it so that you can feed the whole family a lot more easily. You’ll be able to store more of your staple foods such as various meats, frozen vegetables, and other essentials. As long as you have the room for a large freezer, it should work out very well for you. If you own a home that has carpeted floors, then you had better own a vacuum cleaner. It is not going to be practical to clean your floors without a vacuum cleaner if you have carpeting. Thankfully, vacuum cleaners aren’t necessarily expensive. You will be able to find plenty of vacuum cleaners on the market that is reasonably priced. It is also possible to find vacuum cleaners that are a bit on the fancier side. Some vacuum cleaners can be fairly pricey, but they may also provide you with many interesting features. Certain vacuum cleaners will be very powerful and may be capable of providing a deeper clean than some of the more affordable models. It is up to you to decide which type of vacuum cleaner you should pursue. Regardless, you are definitely going to need to own a vacuum cleaner. You should do your best to pick out a vacuum cleaner that is easy enough for you to use and that will do a good job. Once you have found the right vacuum cleaner that is going to suit your needs, it will make keeping your floors clean a lot simpler. There are even some vacuum cleaners that can work well on hardwood flooring, so shop wisely and consider your specific situation before making a purchasing decision. Discover 22 different types of vacuums here. Air conditioners have become a very prevalent home appliance over the last several decades. People who live in very hot areas of North America tend to use air conditioning throughout much of the year. These air conditioning units are capable of cooling down homes very effectively. It makes it possible to stay comfortable inside of your home, even when it is smoldering outside. If you want to purchase an air conditioner for your home, then you are going to have plenty of air conditioner options. There are many styles of air conditioners that you will be able to consider. If you want to buy a unit that can cool your entire house effectively, then a central air conditioning unit will be your best bet. If you just want to cool one room of your house or a small section of your home, then a window air conditioning unit should work out well. There are even portable air conditioners that some people like to make use of. These can be very affordable and will work nicely for cooling small rooms. Depending on how much money you want to spend, you will either be able to cool an entire home or one room. If you want to have the best experience, then purchasing a central air conditioner is going to be great, but a window unit is going to be pretty effective, too. Air purifiers are something that people with allergies or breathing problems will want to look into. If you have trouble breathing the air in your home, then you can purchase an air purifier to alter the air quality. This can make the air a lot nicer to breathe in overall, and you shouldn’t have nearly as many problems. There are many different allergens and contaminants in the air, and the best air purifiers will be able to take care of them for you. There are even whole house air purifiers on the market that you can purchase. Most of these units will attach to your central heating unit and air ducts. It will then work to filter out the air for the entire home. Even microscopic particles can be filtered out when you have a powerful enough air filter. There are more affordable types of air purifiers that you can buy, too. Some of them will work better for purifying the air in one small room. Depending on what your needs are, it may be more practical to buy one of the smaller models. They can work well to filter out things such as cigarette smoke, pet dander, and general allergens. A blender is another home appliance that isn’t a necessity, but it is still incredibly common. Many people own blenders and wind up making use of them every single day. A good blender can really come in handy in the kitchen. It can be useful when you are making certain meals, and it can also allow you to make healthy treats such as smoothies. If you want to be able to make these things, then it is a good idea to buy a nice blender. Blenders are actually very cost-effective, as you will be able to buy a high-quality one without having to spend too much money at all. There will be some differences depending on what type of blender you decide to buy. Some of the blenders will have more robust speed options and various extra features. This blender being shown here is a great general purpose blender that can make your mornings a lot simpler. If you are the type of person who enjoys protein shakes or smoothies, then owning this convenient blender will be perfect. It’s great at making many of your favorites and it is very simple to clean it up. It has dishwasher-safe parts, and this allows you to save yourself a lot of time. Learn about the 25 types of blenders here. Ceiling fans are a very common feature in many homes. You actually might be hard-pressed to find a home that doesn’t have a ceiling fan in at least one room of the house. They are very prevalent, and they help to circulate air around your home. Owning a ceiling fan can really make things more comfortable, and they also look very nice. There are a lot of people who enjoy ceiling fans simply because they are beautiful. There are so many eye-catching ceiling fans on the market. You will be able to find a ceiling fan that will appeal to your sensibilities without having to look too hard. Many of them will be very elaborate, but there are simpler ceiling fans for those who like things to be more understated. Installing a ceiling fan is generally not too difficult, either. You will need to have some knowledge of how to install new light fixtures in order to pull it off. Some people call in professionals to have a ceiling fan installed, but it is certainly possible to take it on as a DIY project. Ceiling fans are available to purchase at just about any major department store, so you won’t have any difficulties finding one. Read more about ceiling fan light options here. You have likely been reading this list so far without coming across anything that you find to be unusual. All of the appliances that are listed are well-known products that have been being used in homes for a long time. Coming across the words “domestic robot” certainly has the potential to raise a few eyebrows. If you are not familiar with the advancements in modern robotics and artificial intelligence, then this may catch you off-guard. It is possible that you have heard of robots that will help you to vacuum your house. Those are a type of domestic robot that is commonly known. Vacuuming robots are definitely the most prevalent domestic robots on the market, but the times are changing rapidly. Domestic robots are becoming more sophisticated and are now capable of performing more tasks. The domestic robot being shown off here comes with a fully functional artificial intelligence system. It is capable of responding to your voice, and it can perform various tasks for you. 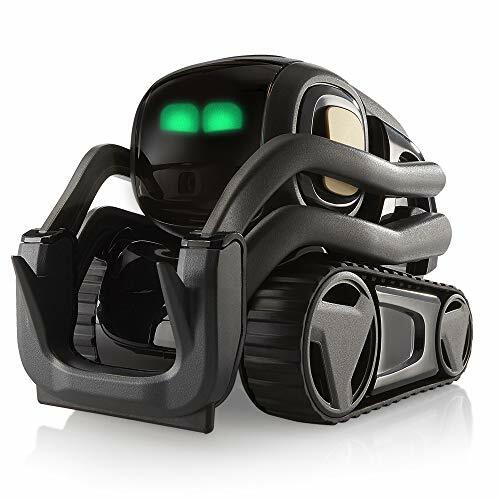 It has treads that look like tank treads that allow it to move around your home freely. The domestic robot also has a personality and can do things such as talk to you. People use this robot to help them as a fun little companion. The robot can take pictures for you, tell you the weather forecast, and can even act as a timer. It is also capable of navigating your home safely, as it has the ability to see obstacles. It really is an advanced piece of robotics that can make your life a bit more fun. Most homes will have some type of central heating unit, but these aren’t necessarily as common in warmer parts of North America. Sometimes people choose to get by through using standalone heaters. There are various types of heaters on the market, but all of them will have the aim of providing you ample warmth during cold nights. Many of the most commonly used heaters are electric heaters. You can plug an electric heater right into your electrical outlet. Simply position your heater where you want it to go and it should help to heat up your home. This is convenient for places that get chilly at night but aren’t really cold enough during the day to warrant buying a central heating unit. Many of the southern states of America have homes that use these heaters during the winter months exclusively. There are some dangers that are associated with using heaters, though. If you aren’t careful, then it is possible that your heater could get hot and catch something on fire. It is important not to run the heater for too long, and you should try to keep things that could catch on fire away from the heater. As long as you are mindful of the situation, you should be able to use the heater without having to worry too much. Electric heaters are generally very cost-effective too. You won’t have to spend too much money to get a heater that will work well for your living space. There are small heaters that will help to heat a single bedroom and larger heaters that work well for larger rooms. Simply buy an appropriate heater for the space that you are trying to warm up, and everything will work out swimmingly. Learn about the different types of furnaces here. Having a garbage disposal unit can make your life a bit easier overall. If you don’t like having to meticulously scrape off food particles from your plates, then you will love owning a garbage disposal. This allows you to simply grind up leftover food and food particles without needing to worry. It winds up saving you time, and you’ll be able to wash your dishes in a simpler way. This is also really convenient to have for when you are preparing meals. Being able to throw leftover stems and other things into the garbage disposal really help. Everything will be ground up harmlessly and disposed of. If this sounds like something you would enjoy having in your home, then you should look into it further. Installing a garbage disposal shouldn’t be too tough, either. You will be able to purchase one at a reasonable price and get it installed in your kitchen sink. If you feel uncomfortable installing this yourself, then you should be able to get your local plumber to do the job for you. Whatever way you decide to go about it, you’ll enjoy owning a convenient garbage disposal unit. A hairdryer probably isn’t the first thing that comes to mind when you are thinking about appliances. Even so, it is one of the more common appliances that people have in their homes. Hair dryers are staples of the bathroom and are very important to own when you are trying to get ready for work in the morning. These hair dryers are used by both men and women to get ready for the day. It is true that hair dryers are more commonly associated with being used by women. When you are on a strict schedule, it is important to have your hair done on time. You cannot always afford to let your hair dry naturally after your morning shower. This appliance is going to prove itself useful time and time again. Luckily, buying one of these hair dryers is going to be exceedingly simple. You won’t have to pay much money to get yourself a high-quality hair dryer. It will work very well for your purposes, and you’ll get plenty of use out of it. This is an appliance that you should own for the sake of your own convenience. Sometimes you will find that your home has air that is too dry. Dry air can lead to many problems and can be difficult to breathe in. If you want to remedy this situation, then it is a good idea to purchase a humidifier. It will be able to alter the air in your home to make things more moist and pleasant to breathe. Humidifiers add moisture to the air in a reliable way. There are natural ways to do this, but you are going to have a much easier time if you use a humidifier. Some of these units are very powerful and can help to humidify an entire home. Other units are designed to help humidify a small room. Depending on the severity of your dry air problem, you may want to purchase a unit that is capable of humidifying your entire home. If your problems are more modest, then a small humidifier placed in the right spot may suffice. It all comes down to what your specific needs are. Sometimes one member of the family will be more susceptible to dry air than everyone else, so they may just want to have a personal humidifier for their bedroom area. The humidifier being shown here is a good tabletop unit. You can place this on a table in your living room or another area of your home. It will work to add moisture to the air and will solve your dry air problem. It is fairly powerful while also still being affordable, making it a very desirable option. Dehumidifiers are just as important as the humidifiers mentioned above. Sometimes homes can have the opposite problem, and they will be far too damp. Damp problems can lead to many troubling situations in your home. If your home is too damp, it is even possible that mold may develop on your walls or other areas of the house. You can avoid the problems that are associated with excessively moist air by using a dehumidifier. You will want to be careful with how much you use your dehumidifier as you do not want to dry the air out entirely. One of the most common areas of the home that needs help with this problem is the basement. Basements are often rather dank and can develop mold problems if you don’t show the proper vigilance. Similarly to the humidifier mentioned above, dehumidifiers are available in various forms. You can find smaller dehumidifiers that are meant to work in a small room. There are also larger units that can work for an entire home. The one being shown here is a smaller model that people usually use in bedrooms or small basement areas. Learn more about dehumidifiers here. See all types of sewing machines here. Sewing isn’t necessarily an activity that everyone gets into. There are many people who love sewing, though. The act of sewing can be very entertaining and it is a practical way for people to express themselves. Some people sew in order to make fun crafts projects, and others sew in order to make their own clothing. One of the most common reasons that people buy sewing machines is to help them fix tears in clothing. If you own a good sewing machine, then you will be able to easily make repairs to clothing or alter clothing when it is necessary to do so. It does take a little bit of know-how to be able to operate a sewing machine, but it isn’t really all that hard to learn. If you want to learn how to sew using a sewing machine, then you will be able to use it to do many interesting things. Sewing machines certainly aren’t as common as they used to be. This used to be an appliance that was highly sought-after and people were proud to own them. There are still many sewing enthusiasts out there, it just isn’t as common as it once was. Owning a high-quality sewing machine is going to give you an advantage when you need to fix up some old clothes. If you want to get a sewing machine at a reasonable price, then this model here is going to work out well. It is a cost-effective sewing machine that can offer you many robust features. It has a very powerful motor and a durable frame that can last for a long time. This sewing machine should work perfectly for your needs, whether you are wanting to learn how to use it or if you are already a pro. Water purifiers and filters are starting to become really popular due to concerns about the water supply. The news about cities such as Flint, MI having problems with lead water in America have really awakened fears in the public about the quality of the water that is being pumped into homes. Aside from this, there are many people who absolutely abhor the chemical taste that the water has in many cities across North America. You can assuage your fears and have better water if you choose to purchase a water purifier. There are a few different routes that you can take if you want to purify your water. You could choose to buy an inexpensive water purifier that goes right on your tap. These filters are good for when your water concerns are more about the taste of the water. The filters can purify the water enough to provide you with clear and crisp drinking water. For those who are more concerned about the overall quality of their water, it is possible to buy a whole house water filtration system. These filters are capable of eliminating toxins and contaminants from water to a much higher degree. If you are concerned about things such as lead, chlorine, or other chemicals, then these filters will be able to protect you. They are much more costly than the tap water filters mentioned above, but they can do a lot more to keep you safe. A whole house water filter can allow you to wash your clothing and shower in water that is purified. If you have concerns about your water supply, then this is a good move to make. The water filter being shown here is capable of removing many contaminants while still being fairly affordable. There are more powerful filters for you to consider but you will need to be prepared to fit them into your budget. Discover the different types of water purifiers here. Check out our entire guide setting out all the different types of coffee makers here. Not every homeowner gets a bread machine, but if you buy and use it, it’s a great addition. We don’t have one, but my brother does and he uses it weekly. He makes incredible bread of all types. He’s into it, so it was a good investment for him. I’m a beneficiary when he comes over with a loaf. The thing is there are many types. We list them out. If you bake, you need a mixer. While functionally they’re similar as they were 40 years ago, but they are better these days, especially the stand style. There are many different types though. Before you buy, get acquainted with your mix options. Click here for the different types of baking mixers. I love the food processor. It saves so much time and tedious chopping work. Today’s food processors are amazing. Moreover, there are quite a few different types. If you cook, you could benefit from this type of appliance. Learn more about the different types of food processors here. I used to be into juicing big time. That was before kids when I had the time. I’d juice huge batches containing all kinds of fruits and vegetables. It’s a time-consuming process, especially the clean-up. These days I buy fresh juice. However, whenever my schedule allows, I’ll get another juicer since I love the stuff. There are a good number of different types. Some are definitely better than others. A juicer is an appliance that you’ll want to go a bit higher end. It’s worth it. Discover the different types of juicers here. I believe other than our coffee maker, we use the rice cooker more than any other small appliance. Yes, we eat a lot of rice. If it weren’t for the rice cooker, we probably wouldn’t eat so much rice because it’s a hassle making in a regular pot. But with a rice cooker it’s ridiculously easy to make and clean up. Moreover, the rice turns out perfect all the time. If you like rice, even if you eat it once in a while, a rice cooker is totally worth it. Learn about the many different types of rice cookers here. I love grilling, but not so much into smoking. My buddy is though. He’s a master at it. Smokers can result in phenomenal meet dishes. You just have to be patient. Smoking takes a long time. While not nearly as popular as grilling, many people do buy a smoker. We put together a list of the different types of smokers here. I often think about how fortunate we are for all the comforts we enjoy. Hot water is definitely one of them. It’s easy to take heat and hot water for granted, but I like to pause and think about how lucky we are to enjoy such comforts. You definitely notice how great hot water is when your water heater breaks down. Going a few days without hot water isn’t pleasant. I’m relegated to showering at the gym, which is okay for a few days, but it doesn’t take long until I miss the convenience of hot water at home. If you’re building a home, renovating one or simply need a new hot water, learn about your water heater options here. If you’re looking for small versions of appliances, we put together an entire series profiling many smaller versions. Click here for our compact appliance series. Smart home technology which includes smart appliances, lighting, security, window treatments, heating and more is all the rage. More and more homeowners are incorporating smart home technology when doing renovations. New homes are state-of-the-art. We put together an epic series on all types of smart home appliances and gadgets. Click here for our smart home guide. See all appliance articles here (from recent to older).